I have finally gotten around to updating the What’s On pages! 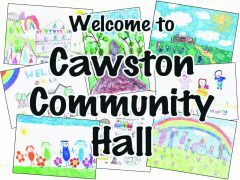 So to find out what’s currently happening at the hall, check out the daily pages. Each day will outline what is on that day, who with, times & room, plus who to contact if you need to book in. Many classes operating booking systems, so best to check with the class leader just to be sure. We currently have loads of great stuff happening. Some groups have been with us since the beginning and continue to be very popular. Others are new to the hall and are looking forward to what they can offer our local residents. For kids we have Mini Mandarin Musicians beginning soon on Fridays. What a great way to teach your kids a new or another language through singing and playing! Or how about Arty Splats? Learning through messy play – and someone else cleans up! Perfect! For adults, we have plenty of classes that will keep you fit every night of the week. New to us is Sinead with her Adult PT Classes on a Wednesday night & Saturday morning. Or what about dancing your way to fitness with Zumba on a Wednesday morning, or Salsa on a Sunday night? Pasha runs Insanity Fitness class every Thursday evening 8-9pm. Please feel free to come along! Hartbeeps is a new addition to our programme of events. Suitable from birth to 5 years its an exciting, interactive and fun class.